From the books that kept us company as we embraced the New Year (or rather, recovered from our New Year's Eve celebrations): “The Ruth will set you free;” there’s a new YA heroine on the block; Patti Smith really loves coffee; and Hunter S. Thompson gets down and dirty on the campaign trail—the 1972 campaign trail, that is. Freya: Ruth Bader Ginsburg is an unlikely pop culture icon. But the 80-something-year-old Supreme Court Justice is a genuine internet sensation, inspiring countless memes (“You can't spell truth without Ruth,” “Fear the Frill,” “The Ruth will set you free”), graphic tees emblazoned with her likeness, multiple SNL parodies, and one very popular Tumblr page. Notorious RBG is born out of said Tumblr by two “#millennials,” Irin Carmon and Shana Knizhnik. It’s a biography of, and love letter to, Ginsburg—and in true millennial fashion, it’s infused with internet fun. Still, the book makes for compelling reading even for those who can’t quite grapple with the definition of a meme. The subject matter is extensive and at times serious, touching on topics like the Voting Rights Act and abortion rights. Yet the breezy nature of the book makes the heavier subjects go down easy, and Ginsburg’s life story makes for a fascinating read. From being one of nine women in her Harvard law class to becoming the second female supreme court justice, RBG is truly worthy of the internet’s obsession—and at least a dozen more memes. 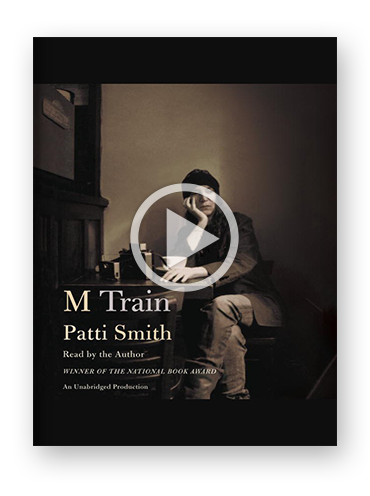 Alex P.: Leave it to Patti Smith to craft a memoir comprised of coffee, travel, TV mysteries, and dreams, and make of it one of the most poetic and magnetic books of the last year. Her quotidian life—lyrically and intimately portrayed—is seemingly lived between cups of coffee. Daily trips to the neighborhood cafe are punctuated by eccentric journeys: to a society dedicated to an obscure scientist of continental drift; to the graves of her artistic idols, from Frida Kahlo to Jean Genet to Akira Kurosawa; to a London hotel room where she binge-watches The Killing; to a decrepit bungalow on Rockaway Beach that, by some miracle, survives Hurricane Sandy. She’s most affecting when depicting love and loss, whether what’s been lost is seemingly trivial—a tattered coat, a worn edition of The Wind-Up Bird Chronicle—or overwhelming—her husband, a dear friend, youth itself. For all this, what ultimately emerges is a contagious sense of beauty and optimism, a recognition of the magic in the mundane. It’s hard to imagine a more inspiring book with which to welcome the new year, whatever it may bring. Alex K.: Think the 2016 election is a circus? Try having Hunter S. Thompson as your documentarian. 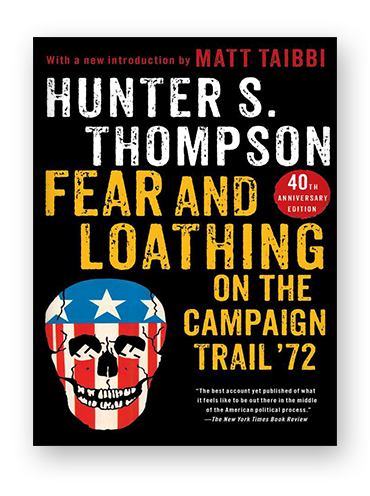 Fresh off the heels of the infamous Fear and Loathing in Las Vegas, Rolling Stone gave Thompson his next assignment: cover the 1972 US presidential campaign. For 12 months, Thompson was the proverbial fox in the political henhouse. His monthly columns, assembled into a book, are classic Hunter: surrealistic, searing, spur-of-the-moment, and littered with tangents, footnotes, and rumors. And yet, the book is a brilliant commentary on the process to become president. From the beginning, Thompson attaches himself to George McGovern, a little-known senator from North Dakota who blossoms into the Democrat nominee and, eventually, the doomed challenger to Richard Nixon. McGovern's campaign manager would later call the book "the least factual, most accurate account" of the election. Whatever it is, it's a hell of a ride, and one that still rings true today. In Celebration of Martin Luther King, Jr.